You must have heard a lot about data science from many people stating that it's the hottest job of the 21st century or there's a huge demand for data scientists in various industries, right? But we can bet that no one would have told you the things about data science which we are going to discuss in this Article! So here We will provide you guys some of the things that you really don't know about data science. So, let's explore it. First to become a data scientist you don't really necessarily have to possess a degree or a PhD in data science exactly, though it is important for you to know the fundamentals of analytics since you need to have the capability to work on analytic tools and understand the basics of data processing to get started. 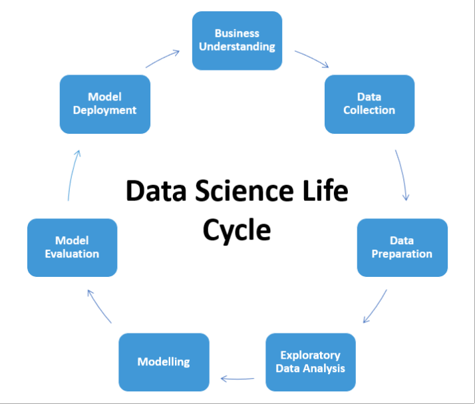 You also need to understand how a data science project lifecycle works and how to design your model to fit into the existing business framework. These are some of the things that you will need to know in order to succeed as a data scientist. Every company has a distinct approach to data science? Exactly! it's completely impossible for you to know everything in data science so what would help you will be the knowledge of some of the universally recognized and adopted technologies in the area of data science. It's important for data scientist to have the knowledge of statistical analysis which will help in making sense out of the data and drive insights. So, it's extremely important to know advanced programming as data scientists will be involved in working on complicated algorithms based on machine learning and data analysis. 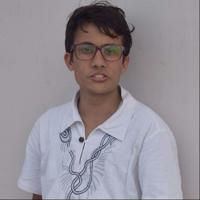 then it is also required to have hands-on experience on languages like R and Python and it is necessary for data scientists to have knowledge of big data tools and frameworks like Hadoop hive etc. It also includes having knowledge of big data visualization tools just like tableau QlikView etc. yes! Analytics without real data is more of a collection of hypothesis and theories, so data helps to test and find the right suitable solutions in the context of the end users, however in their real-world data is never clean, even for the organizations which have well established data science centers for decades. And apart from missing or wrong values one of the biggest problems refers to joining multiple data sets into a coherent whole. And because of this a large portion of data scientist time will be spent in just cleaning and processing data for model consumption. So if you cannot do this with equanimity and focus on big picture then perhaps you should aim for research and statistics rather than a career in data science. Yes, that's true my friends. Now since it is not clean and requires quite a lot of data processing there is no ready set of scripts or buttons to push the development of analytic model. So that's the reason why there is no fundamentally or fully automated data science as each data and problem is different so there is no substitute for exploring data, testing models, and validating against business sense and domain experts. So, depending on the problem and your prior experience, data scientist needs to get their hands dirty to find solutions. Here the only exception could be if you get data in a specific format and keep doing the same thing over and over. but don't you think that this would actually become so boring for you isn't it? Well let's move ahead. So, do you know guys that no one really cares how did a scientist create models exactly! as the consumers of data science models are decision makers and executives who don't bother about how you create models, what they want is a workable and useful model. So, while it's tempting for data scientists to explain the technical expertise behind the model and show off the analytic trigger this is often counterproductive. This is to say that data scientists' audience would only care about the outcome and end use and would not really bother about the decision engine data scientists have put together. Be ready guys to handle this sort of emotions and then another thing that you won't be knowing about its data science is that just because the analytic model is great it does not mean that it will see the light of the day! exactly, that's true my friends! As there are many factors which are influencing it, the analytic project gets shared for various reasons all the time including data change, problem change, no one is interested in the solution or implementation too is expensive. So, in such a situation be calm and carry on if you see that and if even one third or more of your work is getting implemented or used then consider yourself really lucky one. Exactly so do you know guys that machine learning and data science can work hand in hand? Yes, as we know that machine learning is the ability of a machine to generalize knowledge from data so without data there's very little that machine can learn. In near future the increase in usage of machine learning in many industries when app is a catalyst to push data science to increase relevance, so machine learning actually is only as good as the data it is given with and the ability of the algorithms to consume it. So, going forward in the near future basic levels of machine learning will become a standard requirement for data scientists and that is why we say that both the technologies actually go hand in hand. Similarly, IOT is the latest technology that contributes to data science in a significant level. Yes, that's true. Well IOT refers to the ecosystem of devices connected to each other via internet. Let's say smart homes, smartwatches, head gears, are all part of the IOT ecosystem. So, data science is very closely associated with IOT because IOT is all about data generation and data science is all about analyzing it. On becoming a data scientist you'll also be updating your skills enough to be part of this next big tech revolution that is IOT. With the expertise in data science you can start your own startup sounds quite exciting isn't it? You can simply look at the fields or industries where poorly informed decisions are currently being taken due to the lack of better alternatives, for example you can simply start a data monetization business perhaps the most obvious way of monetize the data is simply to sell it to other organizations which are in need of both organized and insightful data .So more than learning data science what is more effective is practicing it! that's why it is said that practice makes a man perfect ! I hope this Article was quite informative and helpful for you and thank you so much for reading this article and giving us your precious time. If you have any queries feel free to contact us any time or comment down your queries below and don’t forget to provide feedback and your views regarding the topic in the comment section below. Also Read: What we can do with ML.NET 0.8? What is ML.NET?